U.S. Government agencies conduct background investigations and re-investigations of individuals under consideration for a security clearance or for the retention of their security clearance in national security positions. Applying for a security clearance requires an employee to undergo a comprehensive background investigation into all aspects of his or her personal and professional history. The process typically begins with the completion of the relevant security forms, such as the SF-86, eQIP or other clearance forms. Following the completion of the initial forms, the investigation will begin. It is therefore important for an employee (federal employee or government contractor) with potential security concerns to speak with a lawyer experienced in security clearance law before the investigation stage starts. An investigation will generally include interviewing the applicant, checking state and federal criminal databases, and interviewing other persons. An employee’s full cooperation with all aspects of the investigation is a requirement in order for him or her to obtain or retain a security clearance. A security clearance applicant can be interviewed once or multiple times depending on the issues and scope of the investigation. We often advise and represent individuals in the security clearance investigations process. Many potential security concerns can be remedied the earlier that they are dealt with. 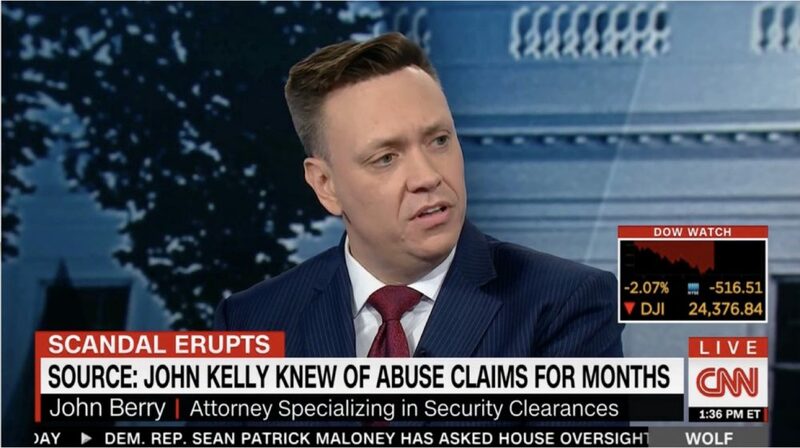 Should you need to discuss potential security clearance issues or need legal representation in connection with a security clearance matter please contact us by telephone at (703) 668-0070 or through our contact page.